In less than a month, individuals and families will be able to enroll in health insurance for a January 1, 2019, effective date. Once purchased, the health insurance plan will go into effect January 1, 2019. Eric Smith, president of CO Health Brokers, offers tips and insight for understanding how to take advantage of this critical month for health insurance. Once per year the general public has a short window of open enrollment to shop for and select critical health insurance that will cover an individual and their family for the upcoming calendar year. Health insurance expert Eric Smith and his team at CO Health Brokers have been helping the community stay one step ahead of this often overwhelming and confusing process by going the extra mile and finding the right health insurance that fits for each client. Smith, who is certified on Connect for health to assist clients, answers the following essential questions CO Health Brokers receives to help the Louisville and surrounding Boulder County community realize the importance of this open enrollment timeframe and why using a brokerage can be a gamechanger. When is the window of time for open enrollment? Beginning November 1 and ending on December 15, individuals and families can shop for and select a health insurance plan that fit their overall needs and budget. “Once purchased, the health insurance plan will go into effect January 1, 2019,” noted Smith. Why use a health insurance agent or broker? Being represented by an expert takes the guesswork out of shopping for and choosing the right health insurance plan. Agents and brokers have licensed access to federal programs to assist lower-income clients and other alternative plans for those that are healthy. “There is no one-size-fits-all solution, so it’s always wise to explore all options,” added Smith. Brokers and agents can assess each client’s situation and walk them through the application process for medicaid or receiving program subsidies. A subsidy is financial assistance to help pay for a monthly health insurance premium, and does not need to be paid back unless there is an increase in income that calendar year. How can I prepare for open enrollment and working with a broker? Refer to the prior year tax return and estimate what the total taxable income might look like for 2018. “This will help a broker quickly estimate which products may fit best for your current financial situation,” advised Smith. Will the upcoming administration changes affect health insurance? Health insurance plans and current federal programs available to the public have not changed. “On the contrary, there is now more access to health insurance plans than before and the personal mandate penalty will be going away starting in 2019,” concluded Smith. For the last 15 years, Eric Smith has specialized exclusively in health insurance for individuals, families, and businesses. Eric has received numerous awards as a top producer and was hired by Colorado to help train other brokers on http://www.connectforheatlhco.com. CO Health Brokers is located at 400 McCaslin Blvd #400, Louisville, C0 80027. 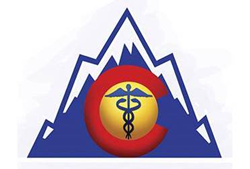 For more information, please call (303) 541-9533, or visit http://www.cohealthbrokers.com.